TARGATT™ site-specific knock-in technology enables the integration of transgenes at a preselected locus in the genome, thus overcoming drawbacks of random integration. This technology is adaptable for gene integration in many different species of animals (mice, rats, rabbits, pigs) and cell lines (including CHO cells, stem cells and immortalized cell lines). Do-it-yourself kits to generate site-specific transgenic mice in 3 months! 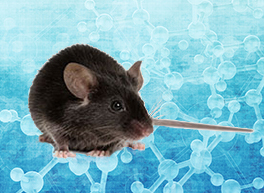 We offer TARGATT™ “attP” mice, plasmids, transgenic kits, genotyping kits. TARGATT™ “attP” Master cell lines and knock-in kit for rapid, site-specific transgene knock-in with high efficiency and robust transgene expression. Choosing the right genome editing technology: Applied StemCell uses two complementary genome editing technologies to generate advanced cell line and animal models very efficiently and effectively: the CRISPR/Cas9 technology and our propriety site-specific gene integration technology, TARGATT™ for large fragment (up to 22 kb) knock-in into a safe harbor locus.